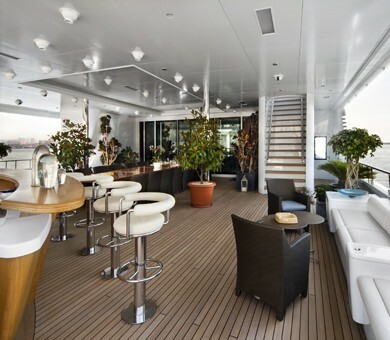 M/Y SAMAR is a 77m (252 foot) steel-and-aluminum Laurent Giles designed luxury motor yacht with studio and interior styling by Joe Thome. 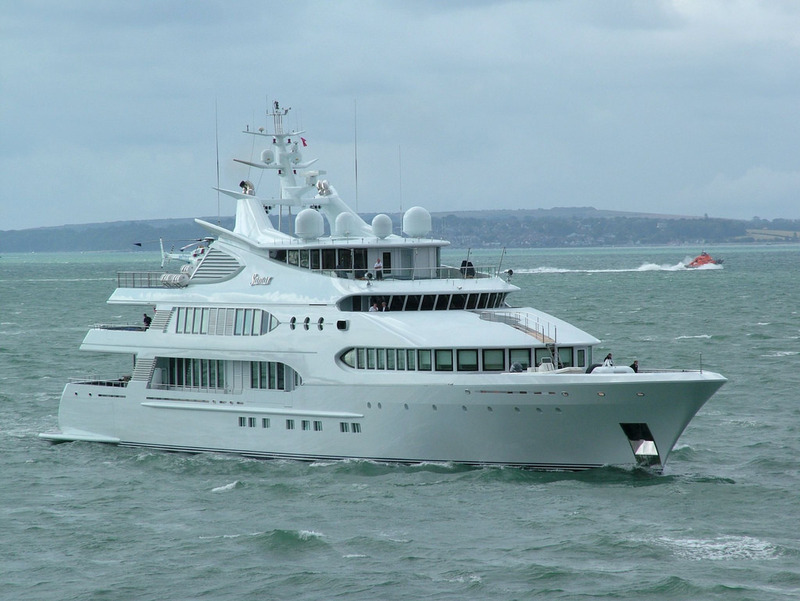 She was built and launched by Devonport Yachts of England in 2006. 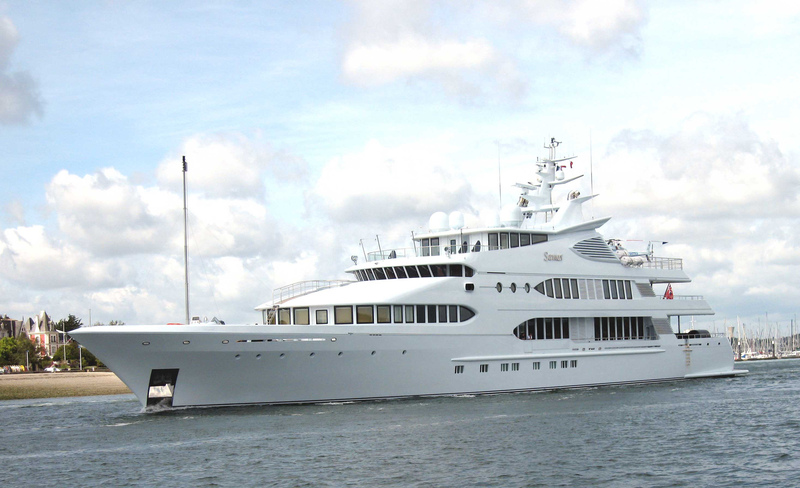 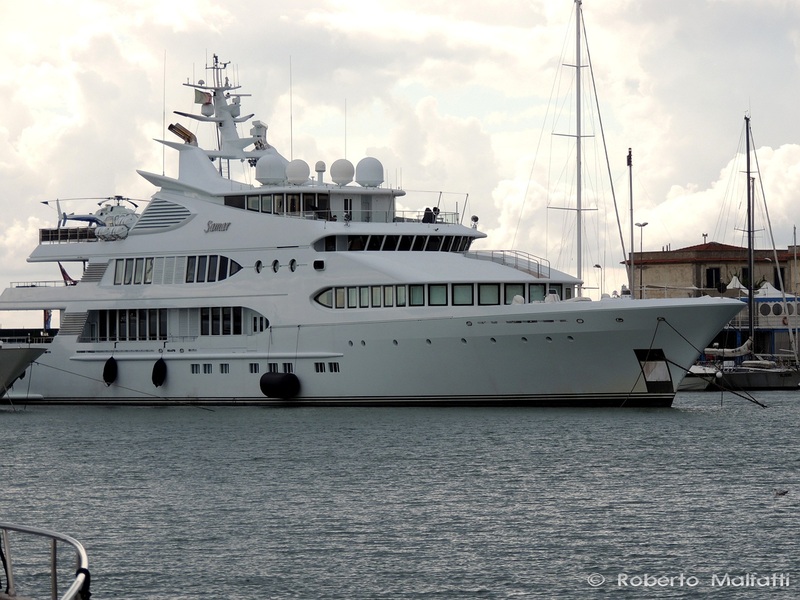 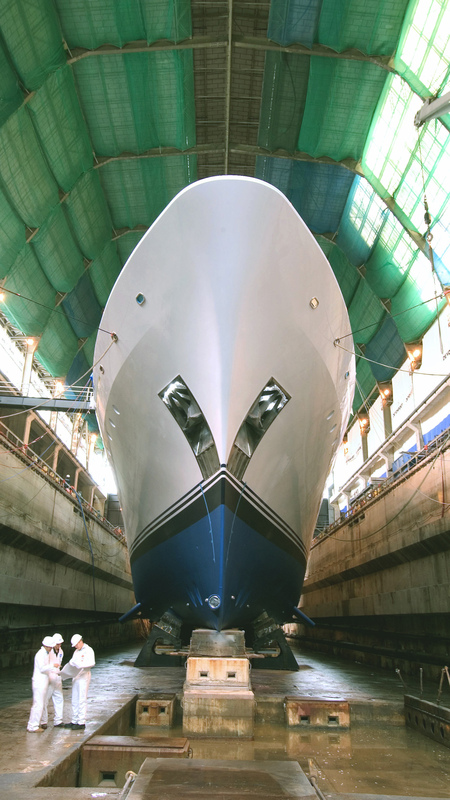 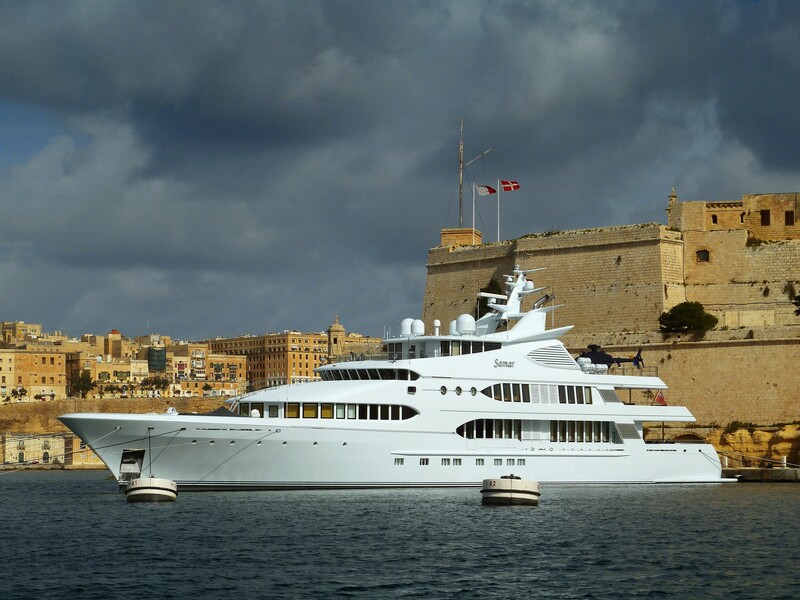 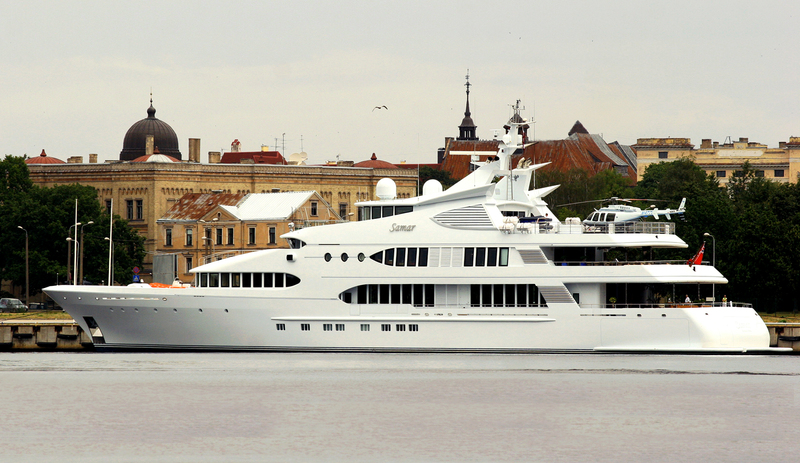 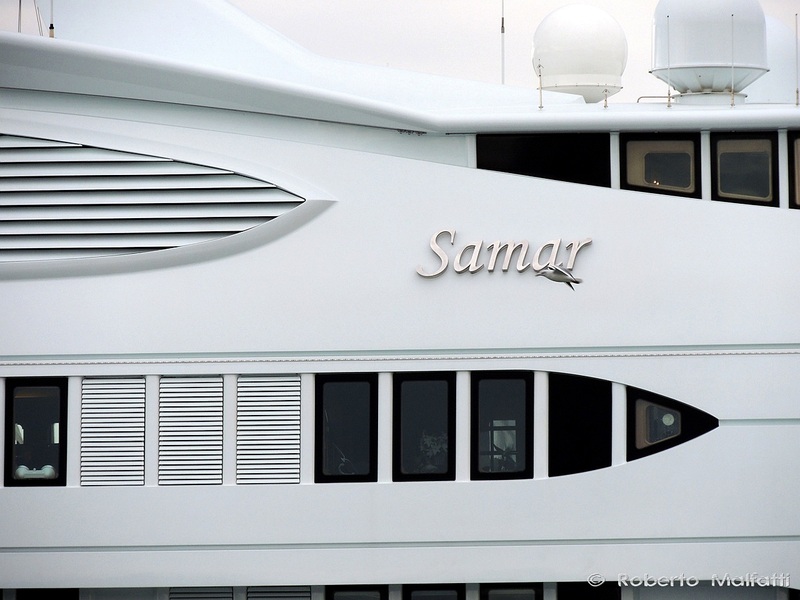 At an impressive 77 meters in length, motor yacht Samar is, so far, one of the largest yachts by volume or tonnage (2150 gross tonnes) to have been built in the UK to date. 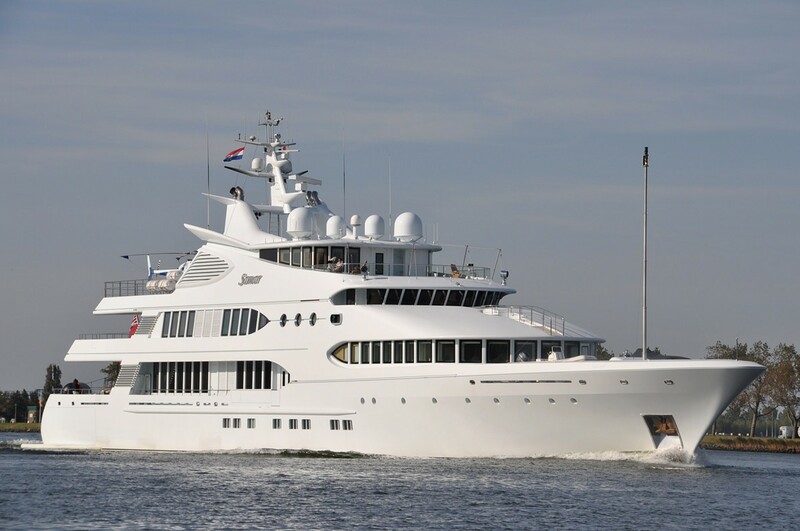 Her well respected yacht design team also includes the exterior designers H2 Yacht Design and Nick Meyers (along with a fore mentioned interior designer Joe Thome and naval architects Laurent Giles). 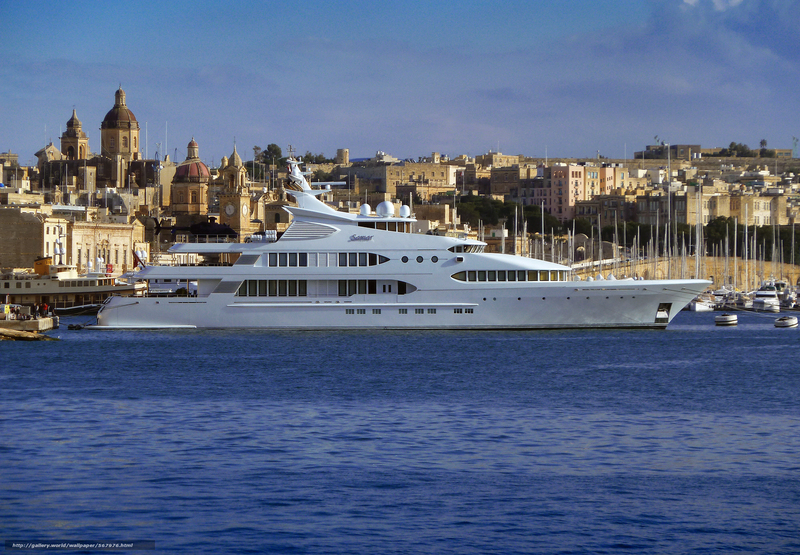 Yacht SAMAR is a very large and luxurious charter yacht which features almost everything that can be offered on a private motor yacht. 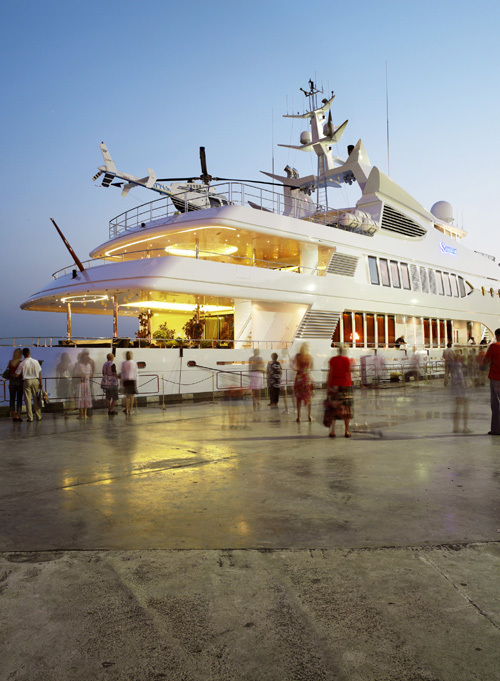 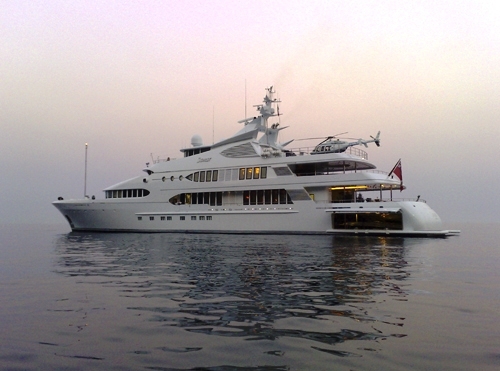 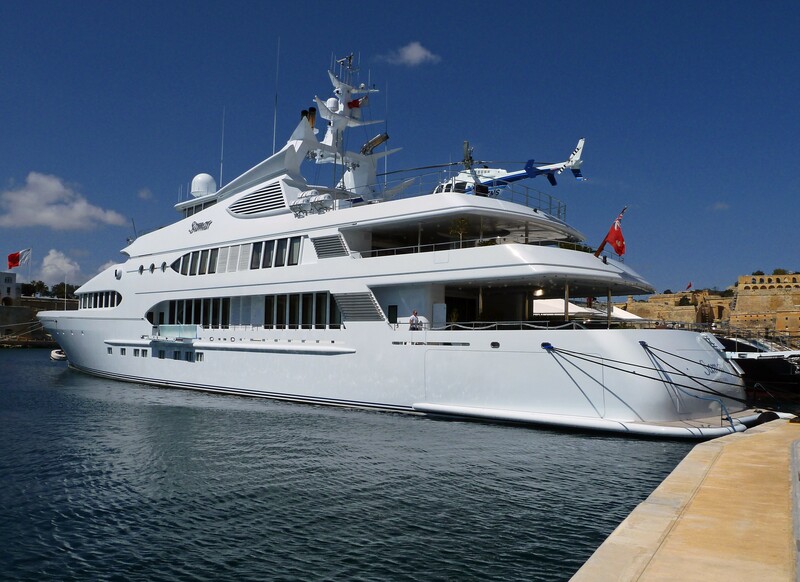 SAMAR has a helipad, a large Spa Pool pool, an open bar, large deck areas, a side garage, as well as a movie theater. 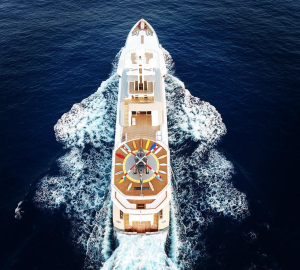 The luxury yacht is capable of extended global cruising, with a range of 6,000 nautical miles and cold storage provisions for 44 people (including crew). 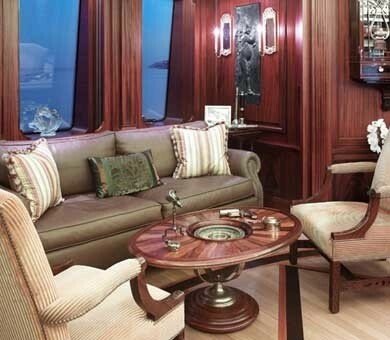 SAMAR’s other exceptional features include a very spacious main saloon and dining room with huge windows and 3 meter high head height deck heads. 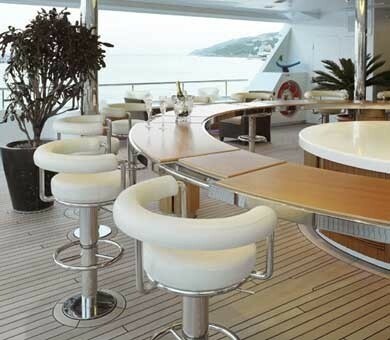 There is a covered bridge deck bar and dining area with 16 fixed chrome and leather chairs encircling the round bar. 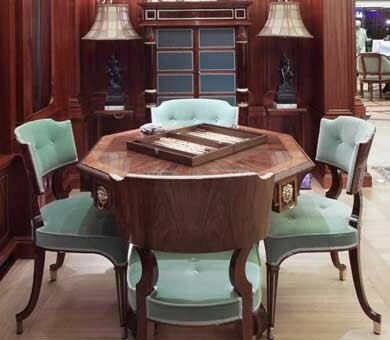 Both the chairs and the counter can be adjusted to the right height for bar/buffet or formal dining. 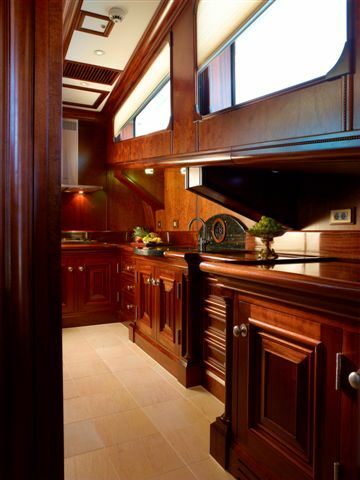 Another great feature is an interior layout which has a guest elevator through all four deck levels. 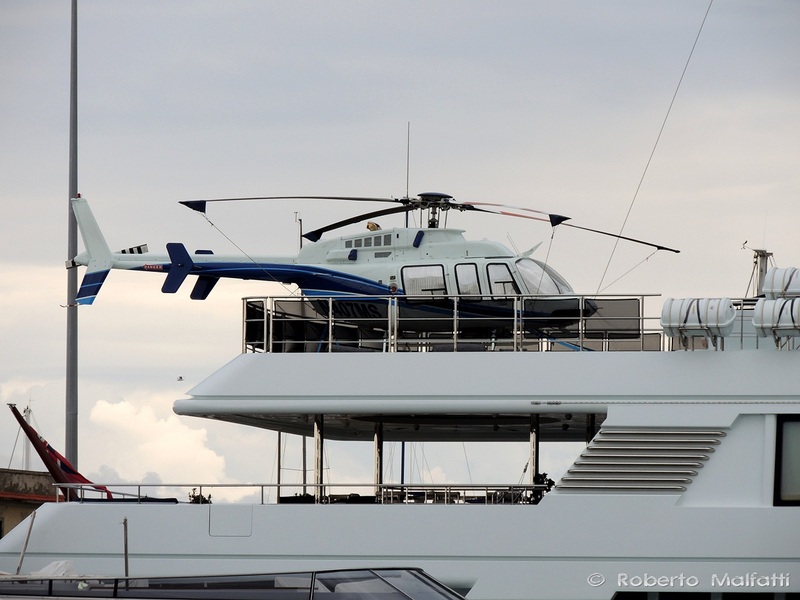 There are also two separate service lifts for the crew. 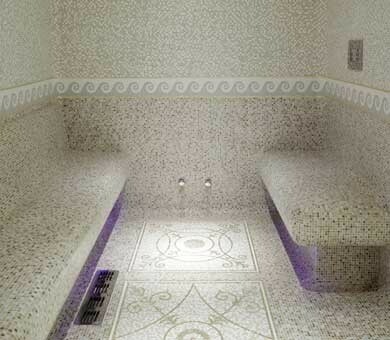 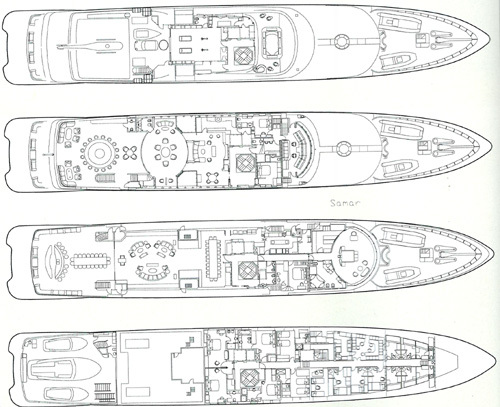 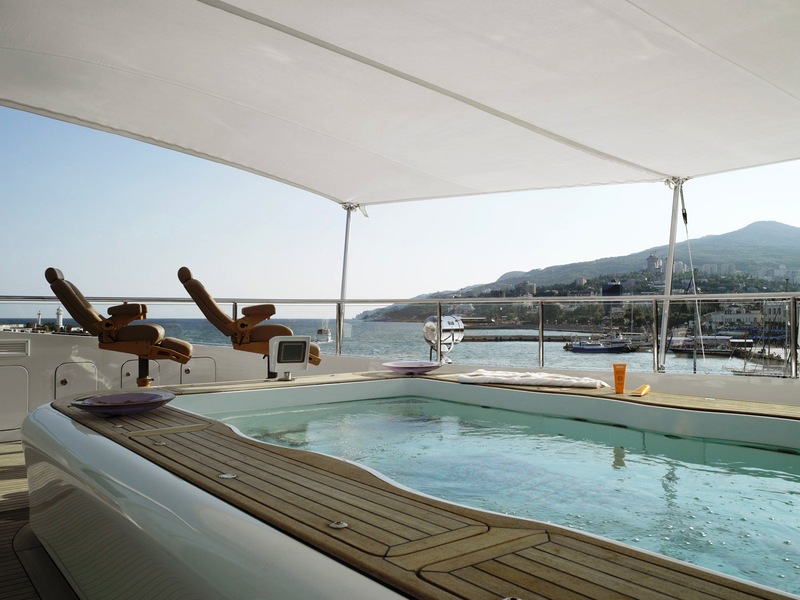 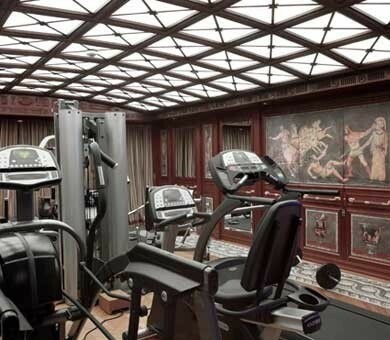 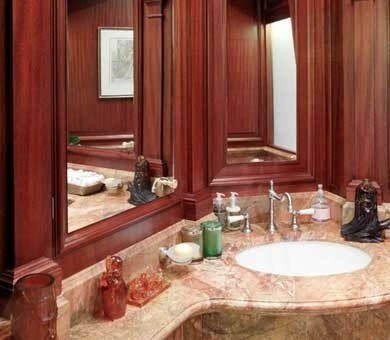 A full-fitted gymnasium, steam room and both hot and cold pools on the upper deck are also notable. 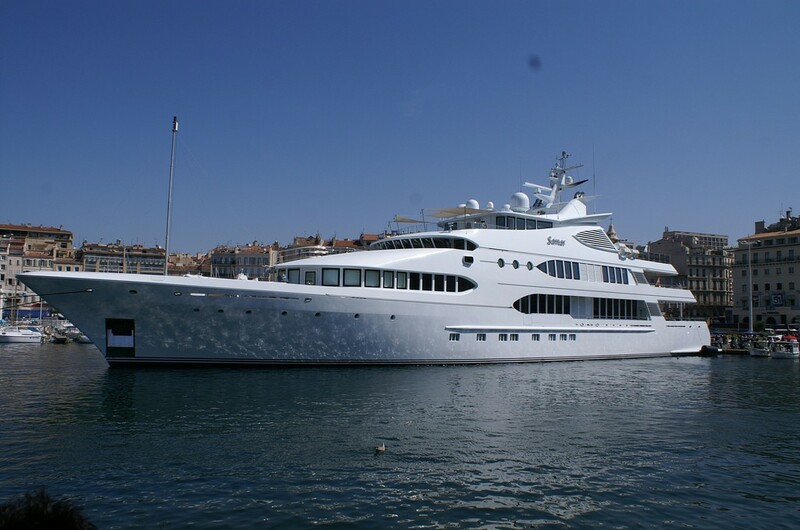 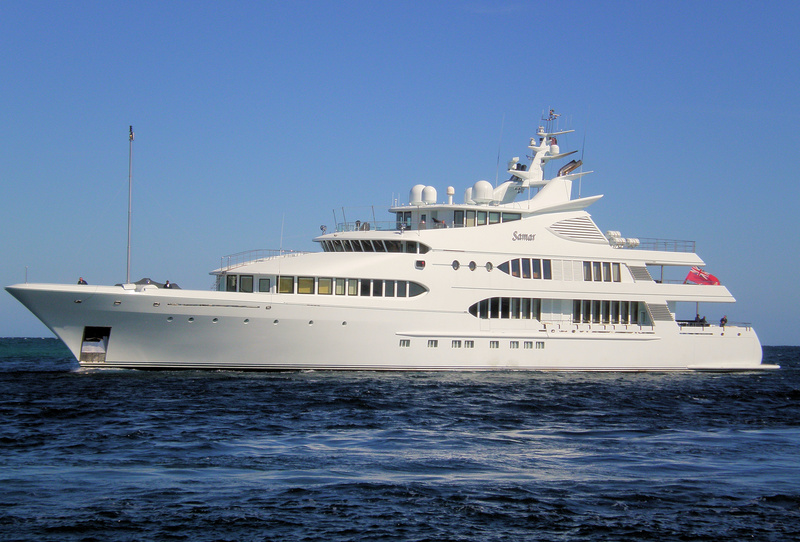 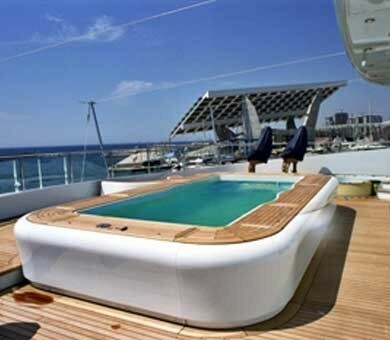 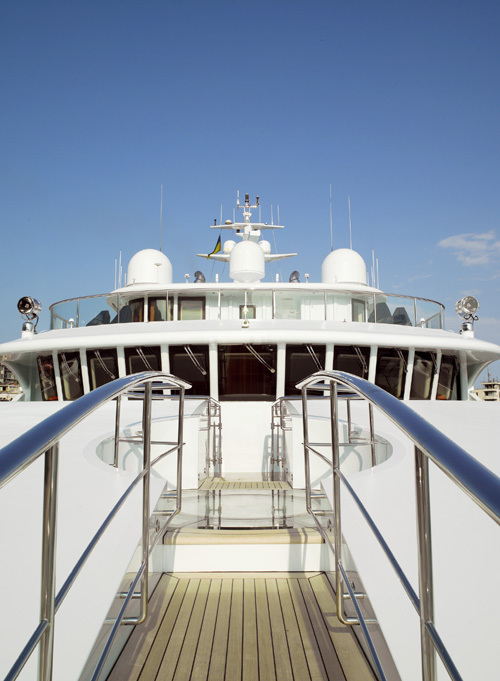 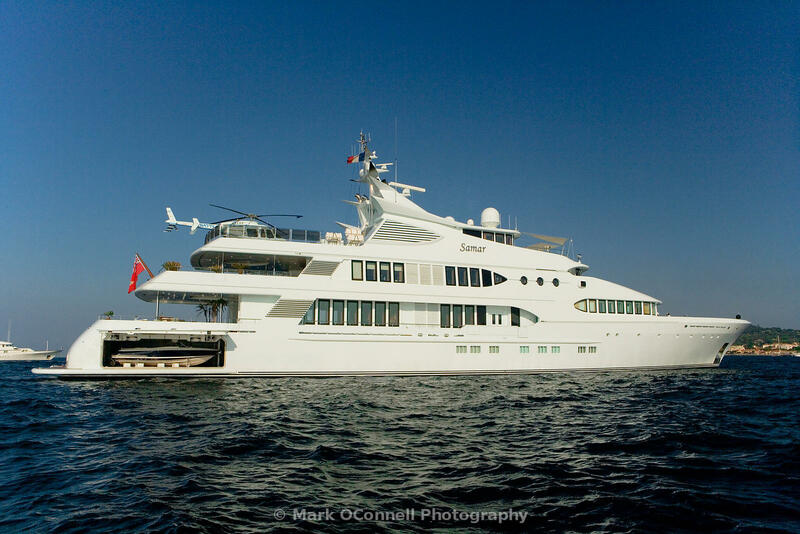 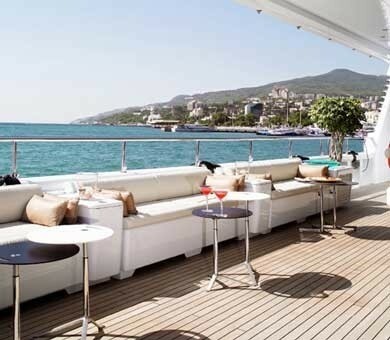 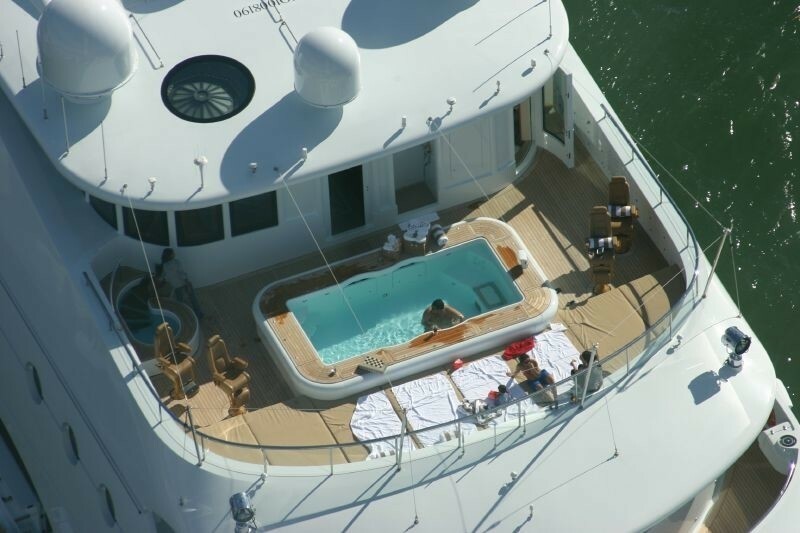 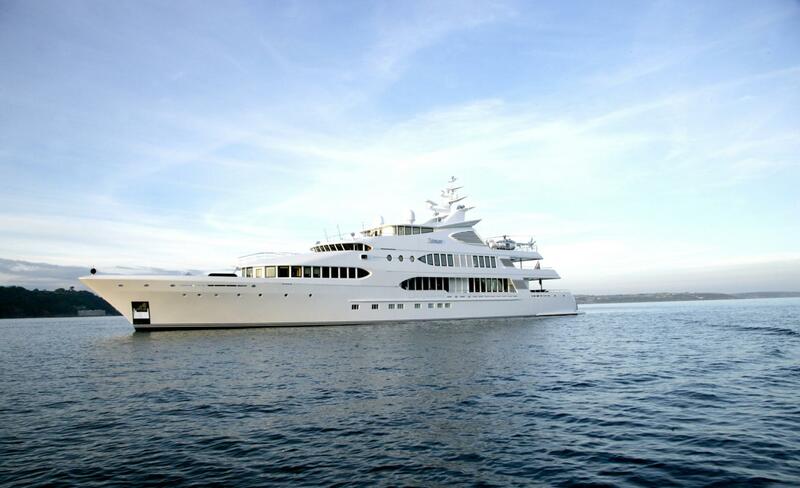 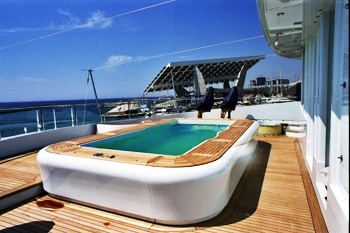 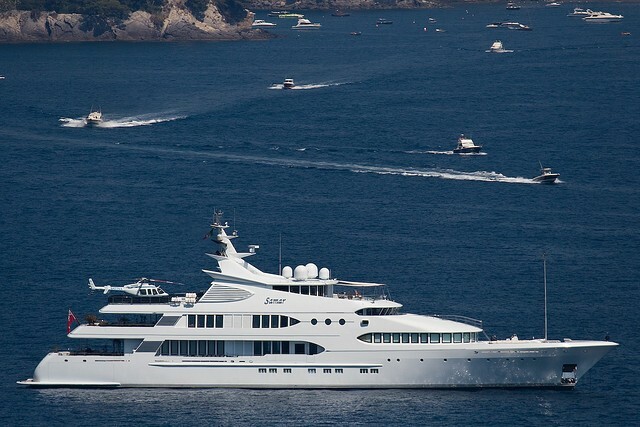 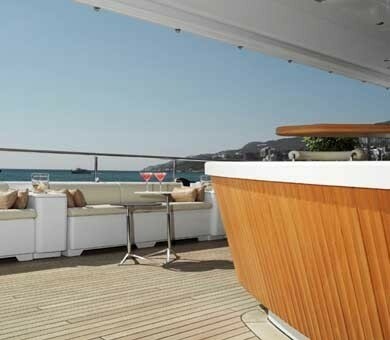 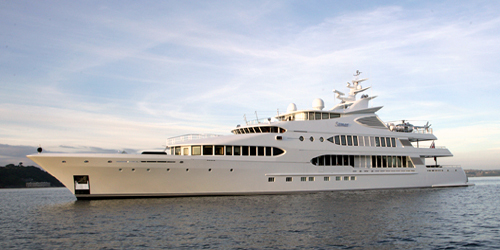 The yacht provides accommodation for an Owner's party of 12 (in 7 staterooms) with a crew of 26. 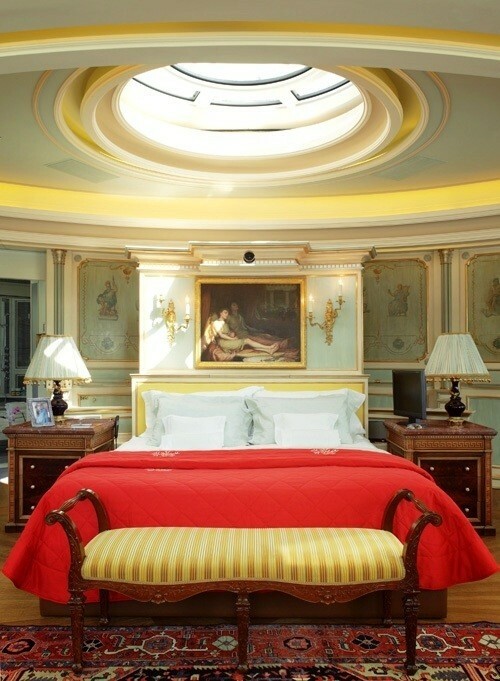 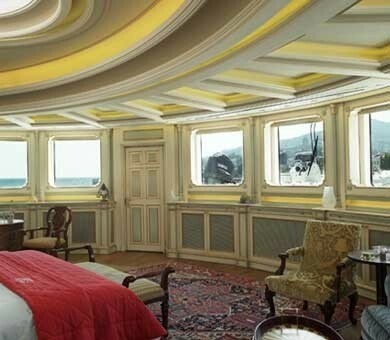 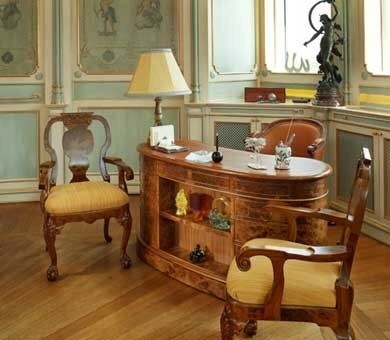 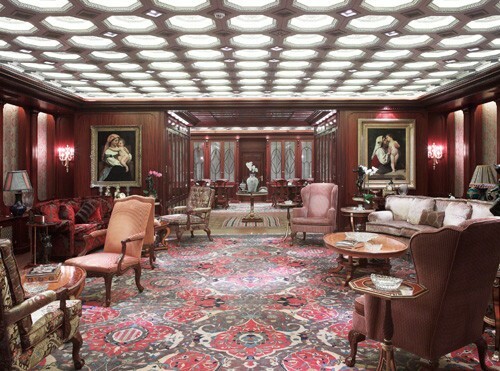 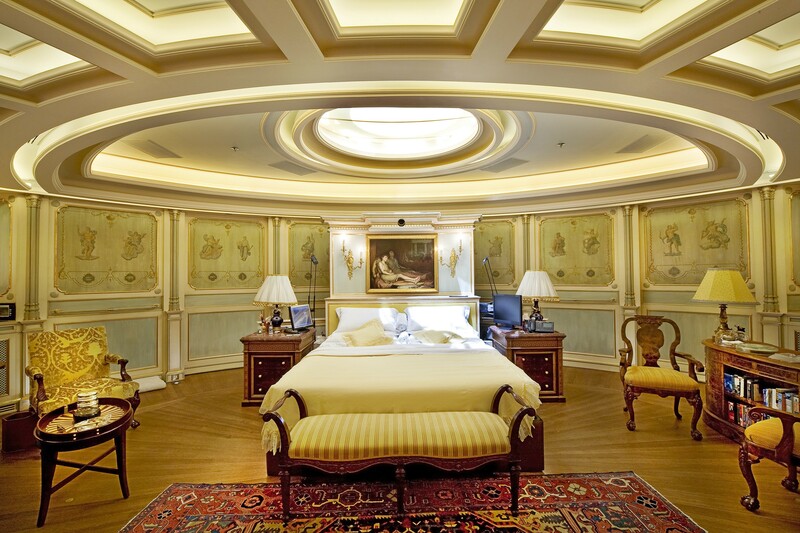 The owner’s stateroom is independent on the main deck, there are two VIP cabins on the lower deck (one twin and one double), as well as 2 double cabins on lower deck, and one small double on the bridge deck. 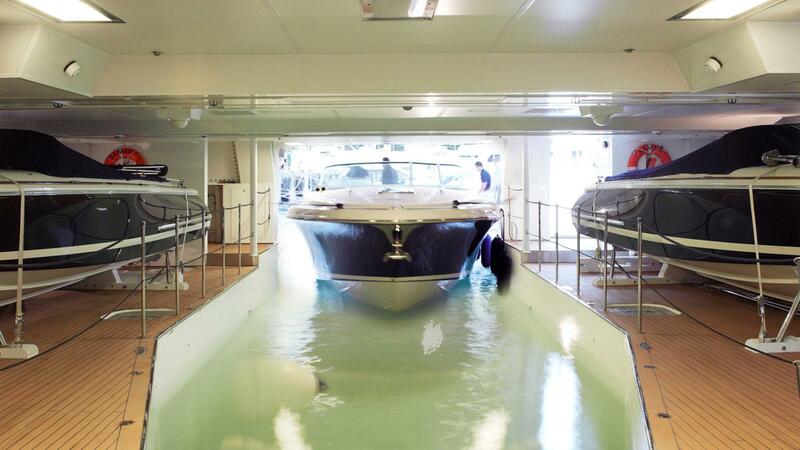 She provides a wet dock in the aft garage for a 33’’ CrisCraft ridged hulled tender and there are four further tenders on board. 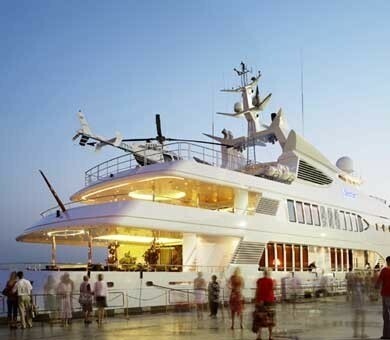 The helipad is designed to house a Bell 407 helicopter with refueling facilities, three Jet Skis and a MINI Cooper cabriolet. 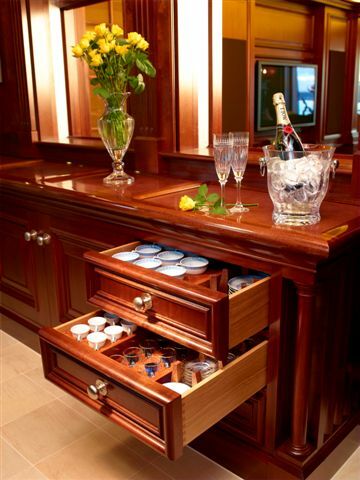 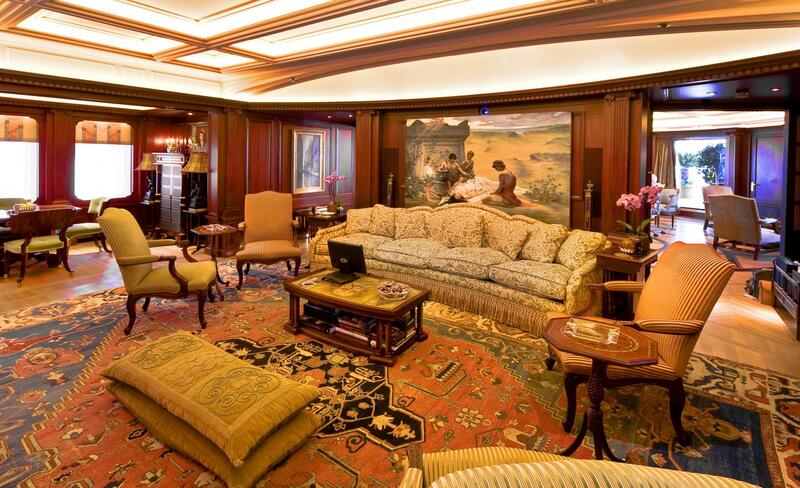 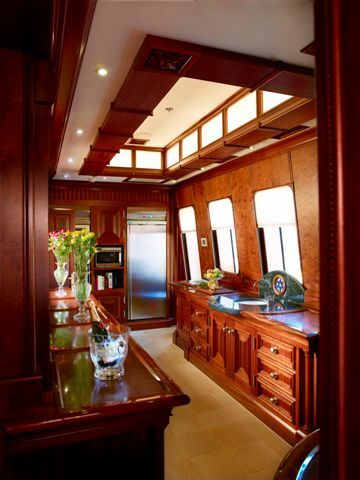 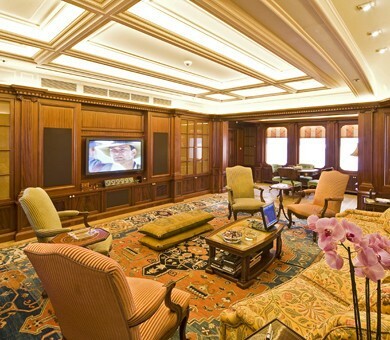 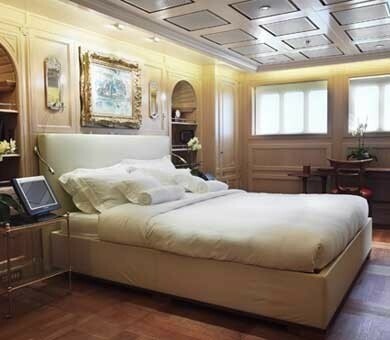 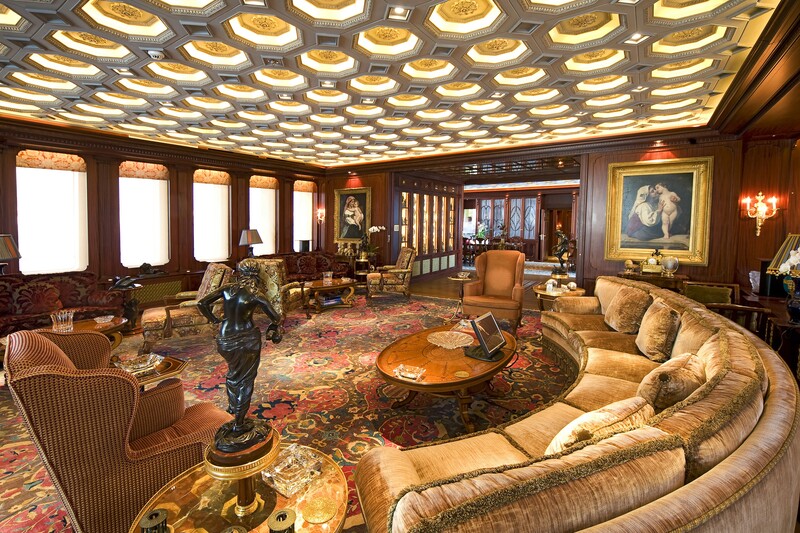 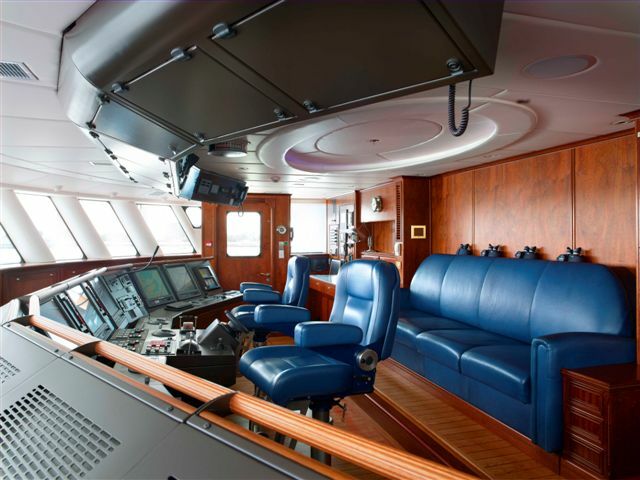 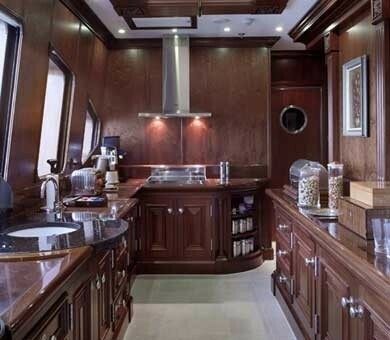 The Owner's party of 12 (in 7 staterooms) are luxuriously accommodated along with a crew of around 26. 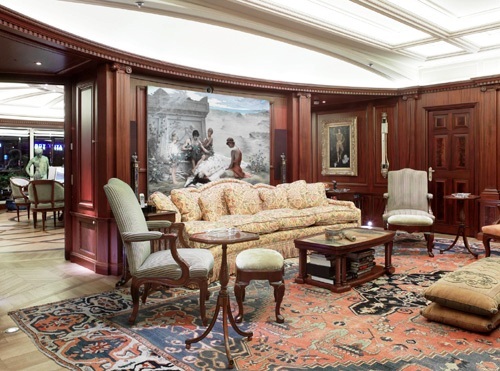 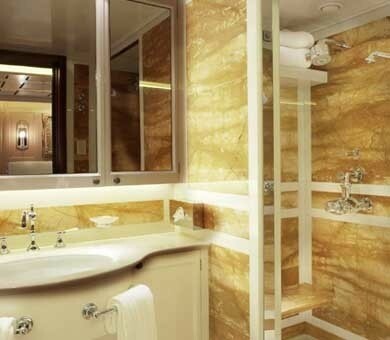 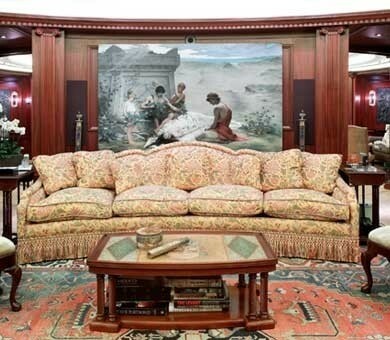 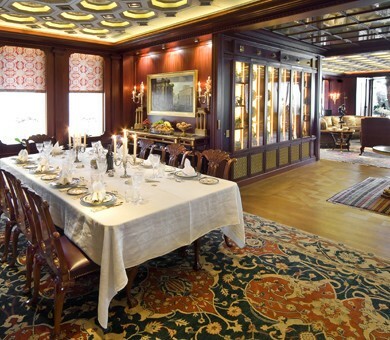 The owner’s stateroom is independent on the main deck, there are two VIP cabins on the lower deck (one twin and one double), as well as 2 double cabins on lower deck, and one small double on the bridge deck. 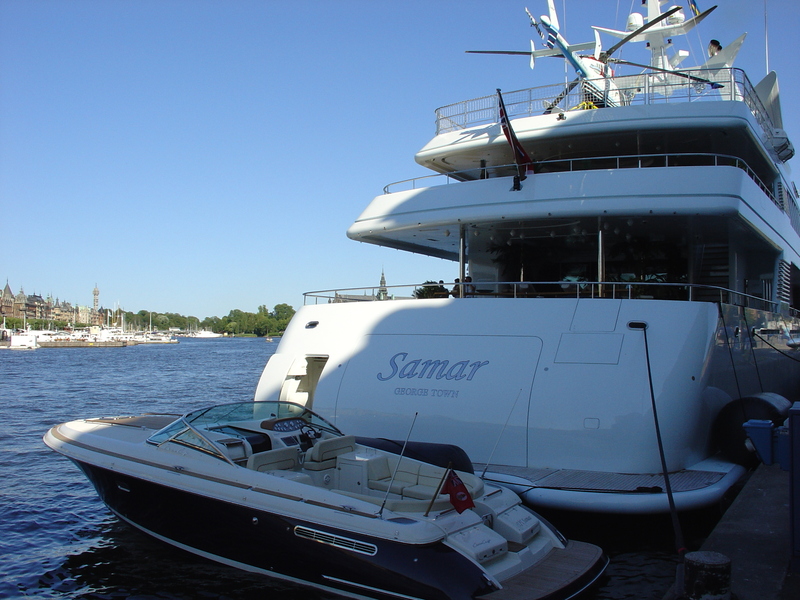 Samar's Tenders: 30 Ft. Criscraft w/800 hp 25 Ft. Criscraft tender with around 260 hp Samar's Toys: Fully equipped with water toys like jet skis , wave runners, diving equipment, water skis, snorkeling gear, fishing equipment, etc.